This sprawling hotel is one of the old guard of Canberran hospitality and has just celebrated its 90th year. It was where prime minister Ben Chifley lived during his time at the head of Australian politics, and also where he died in 1951 (you can stay in the very room where he died, it’s 181). The whole place has a kind of refined country club vibe to it – it’s miles from the boxy modern hotels springing up around the city centre to meet the ever-growing demand of the country’s bush capital. The long, meandering wings of the Garden Pavilion-style building are lined in black-and-white portraits of our nation’s former PMs and the halls shift from a gentlemanly grey to a dark yolky yellow or a powder blue – helpful for finding the wing with your room after a few whiskies by the fireplace. Inside, bedrooms are elegant and sensibly furnished with real feather pillows for that little bit of extra nighttime luxury. 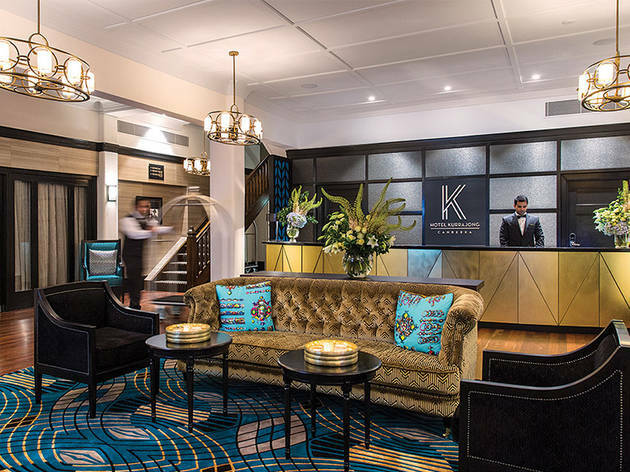 The hotel also does a roaring trade in business meetings and conferences in their seven private rooms that range in size from the wedding-appropriate Kurrajong Room to compact private dining rooms, but if you require serious Wi-Fi speeds, best to BYO. 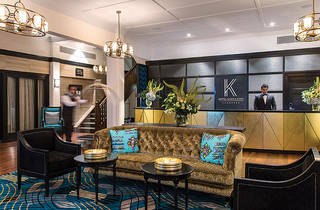 Breakfast is served in Chifley’s Bar and Grill, which boasts the classic, upmarket steakhouse styling you’d expect from a historic institution in the country’s political centre. You can order the full hot breakfast buffet that runs the gamut from fruit and cereal to the full English fry-up, or you can dine like a politician with Ben Chifley’s standard breakfast order of eggs, bacon, sausages, and tomato on sourdough.